- All types of cables required for connectivity of lance assembly to the temperature measuring instrument are provided by us. - E.g. Compensating cable of various types, Metal Bladed cable for inside lance assembly, Cable, etc. 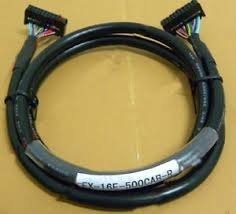 We are involved in offering a wide range of Antenna Extension Cable. This cable is known for their vital features such as robust structure, corrosion resistance, user friendliness and less maintenance. It can be customized as per our customers specifications and it can be availed at industrial leading price. Application: Industrial Use, Professional Use & Maintenance Purpose. Usage/Application: Industrial Use,Professional Use & Maintenance Purpose. Color: Red & Black Combination. Compensating Cables are available for different applications. Heat Resistant cables are available for use inside the immersion lance assembly and also as trailing cable with a range of conductor sizes. - 2 CORE , 5 MTRS. We offered conductor: ec grade annealed bare/tinned coated copper wire single and multi strand bunched. insulation: di-electric cable grade pvc compound. colour: a variety of colors including single / double tracing as per customer specification. we are electrical goods manufacturer based in mumbai we make flex box with spike guards.